One of the things that I love about living in Miami is the unique airlines that fly out of this airport. Take me to JFK or LAX, and I can identify every single airline in my sleep. While a lot of airlines here fascinate me, there are a few flights I’m most interested in taking. One of those is the Air France island hopper going all the way down to Cayenne, French Guiana, via Port au Prince, Haiti, Pointe-a-Pitre, Guadeloupe, and Fort de France, Martinique..
Another one of those is Avior Airlines’ flight to Barcelona, Venezuela, but this probably isn’t the ideal time to take that flight. The other flight that most intrigues me is Boliviana De Aviación’s flight between Miami and Santa Cruz de la Sierra, Bolivia. 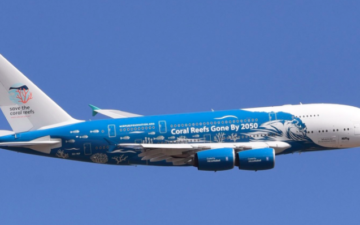 I’ve written about this airline in the past in passing, but given that I live in Miami, I think it’s time. BoA operates this 3,200 mile flight a few times per week using a Boeing 767-300. Oddly they operate a redeye schedule in both directions. I understand some airlines rely heavily on connecting traffic, but BoA’s route network isn’t that big, so I’m surprised they have the plane sit on the ground in Miami for 17 hours with each rotation. American Airlines also operates the route, and seems to have a more sensible schedule. The flight is priced at ~$1,200 one-way in business class, which seems a bit steep when you consider they charge the same for a flight from Santa Cruz to Madrid, which is nearly twice as long. Or you can fly from Miami to Santa Cruz to Buenos Aires for around the same fare. Why wouldn’t I want to enjoy a second flight with them?! Anyway, this is where the “mystery” comes into all of it. I’m a massive airline product geek, and am always curious what a carrier’s onboard product is like. BoA has four 767-300s, and these planes have quite a history. For example, one of their 767s has flown for Royal Brunei, Air Mauritius, Air Algerie, Vietnam Airlines, Skymark, Varig, GOL, and Norwind. Talk about some history! While there are a lot of airlines where there aren’t many trip reports out there, I don’t think I’ve ever seen a product as mysterious as BoA’s. 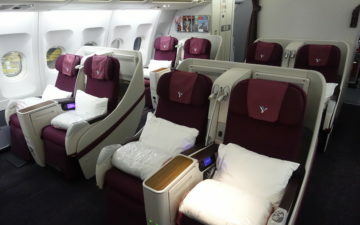 I can’t find a single picture on the internet of their 767 business class product. Not even an amateur one posted to Instagram. Now, it’s possible I’m missing something, but I’ve spent a lot of time searching. 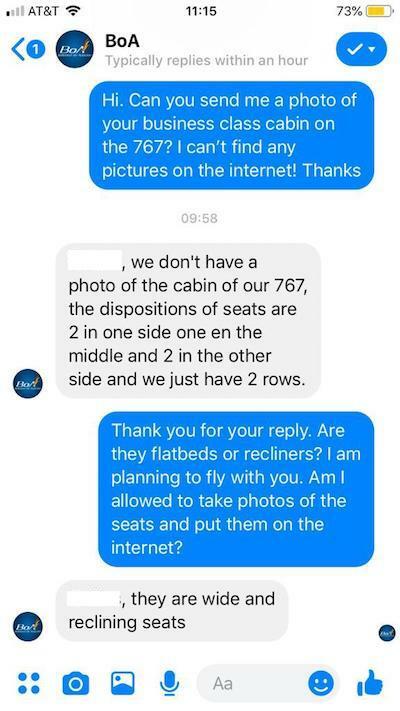 I asked a friend who is also a product geek if he had ever seen one, and he decided to message the airline on Facebook. First of all, kudos to BoA’s Facebook team for responding within minutes on a Sunday morning — wow! Or if we’re talking something more like Ukraine’s 767s, though they have seats in a 2-2-2 configuration. I’m very tempted to book this flight and review it, and then redeem 30,000 AAdvantage miles to redeem American’s 757 fully flat business class in the other direction. Or maybe I’ll fly it all the way down to Buenos Aires, and fly Aerolineas Argentinas on the way back. Has anyone flown BoA, or know anything about their business class product? Am I the only one who is fascinated here? I wonder if it’s like the old CO BF cabin where they had 2-1-2 recliners. Also, an AR review would be very interesting. 1 vote for that return routing! I googled searched them in Spanish and found a few pictures of their business class. Yeah if you just google “boliviana de aviacion business class” you’ll find a couple of videos and pictures… Looks old school but comfy! Their business class seats look like the old UA first class when they had the old first class on their 767s in the 2-1-2 configuration. It’s actually Nordwind, not Norwind. Another one of the weird airlines you never took, btw: they came into the spotlight after flying some strange charter flights from Russia to Venezuela and then to Entebbe and Zanzibar. The press says they were carrying gold, but who knows. 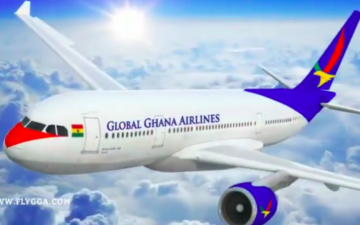 Otherwise, this is a semi-charter airline with some 777s and a business class product in the same league as the old Ukraine International product. Should be fun! The reason they could have such a long ground time in MIA could be they do their routing maintenance there. I’m actually from there. It doesn’t get a lot of tourism but it’s a pretty and chaotic country. Santa Cruz is a great city and the hub of the lowlands. It’s a very diverse country which runs from the amazon to the Andes mountains. Boa is government run and exactly what you would expect from a government run airline. I don’t believe their seats are flat. I’m taking the business AA flight out of there at the end of May. I generally avoid BOA unless it’s inner country as a cheap quick way to travel. Landed here in Montevideo on AA 989 this morning and saw a Boliviana De Aviación plane on the tarmac but was too bleary-eyed to note which aircraft. This is Awesome, this is the Lucky we love, get on them planes and find out for us all mate. I spent three weeks in Bolivia last summer, and absolutely loved the country. I flew to/from Santa Cruz on the AA 757 in business class, no complaints. Santa Cruz is a commercial city, and I would not consider it a tourist destination. But I would recommend that you take at least one day and travel to the Altiplano, and specifically the Uyuni salt flats. Spectacular! Santa Cruz isn’t much of tourist destination, but you could go to Amboró National Park with a tour operator or driver. I went by bus, hitched a ride on a pickup, and wound up on horseback. Beautiful countryside. GO TO UYUNI. You’ve been saying you like natural sites, and one of the best I’ve ever been to (80 countries in) is the salt flats in Uyuni. Have not yet flown BoA but flew it’s predecessor flag carrier Lloyd Aéreo Boliviano several times. They flew a 767 once a day to / from La Paz to Santa Cruz to Miami. Once in business class there were 3 people, me, the Vice President of Bolivia, and his (I think) bodyguard. The plane took a long time to load in both La Paz and Santa Cruz while many of the economy class passengers said a few words to the vice President. Then, during the entire flight to Miami, nobody disturbed him. Bolivia is one of my favorite countries in South America. Interesting diverse culture, some amazing landscapes, and the cities really grew on me as I got to know them. I do not know, seems very common on flights to south South America to have planes there for extended times. I flew AA, DL, UA and they all arrive to EZE 8-9 am and leave 8-11 pm. So a long time there. 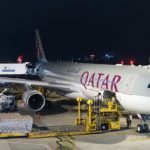 I have flown in Boa first class a couple of times, and beleive me, the first class is very good and the service is way better than the American Airline service in the same route. I am from santa cruz, it is a great city to visit. Those seats appear way better than our last flight on Qantas Business Class Melbourne to Auckland. 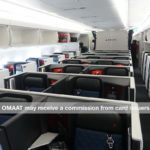 If you take a look at the video below you will see what appears to be angled flat seats on their 767, Im curious if their aircraft have different seats on each. You absolutely should do this! Did a 3 day trip to Uyuni and the Bolivian highlands last year and it included some of the most remove and spectacular natural sites I have ever seen, and without hoards of tourists. The Sol de Manana geysers and the Red Lagoon are mind blowing. And the Tayka hotel de Desierto is arguably the highest hotel in the world. Bolivia is generally safe and the people are very friendly. @ Cedar Swamp-Thing when is the raining season there? @Cedar Swamp-Thing when is the rainy season there? if you go to Santa Cruz, make your way down to Uyuni. You will go through Sucre, Potosi, on your way there. Sucre is a UNESCO heritage site. Potosi is a mining towns. Both are worth a stop. Tayka hotel de Desierto is stunning. How about the Surinam Airways flight to Paramaribo, and onward to Amsterdam? I took the Air France island hopper and went overland to Suriname (which was very much a terrifying Seat 31B style experience in a leaky dugout canoe over a pirahna-infested river). It’s one of the most amazing countries I’ve visited and is well worth going on such an unusual airline. Is a recliner seat like Ukraine’s. Nothing exciting, is a red eye so not much interaction with the crew. SCZ is pretty with a vibrant nightlife. I haven’t been in 14 years. I fly MIA to VVI (to CBB) all the time in J. The planes are ex-Alitalia (even the language in the lavs is only Eng and Italian). The service is amazing and the food is good. Try it! Bolivia is an amazing country. @vanya Nordwind actually bought some 77Ws from EVA, and for a while operated them with the reverse herringbone business class before converting to all-Y. So for some time they had by far the best business class in Russia. @Alex indeed, you are correct. I just checked, and yeah, they reconfigured their worst plane(s) to all-economy config a couple of months ago. They still seem to have ex-Aeromexico 777 with business class and an ex-Cathay Pacific 777 with first class cabin (and no first class service). Wonder how that works. I am from Argentina. Are you masochist? Dont fly aerolineas. Personal advice. The two Aeromexico planes have been reconfigured according to the seat maps on their website, which would mean the CX 77W is now the only one with J or F (except for their two A330s which have ex-RJ Business). The CX plane doesn’t seem to be flying anywhere though, which might mean it’s being reconfigured, which would be a pity. 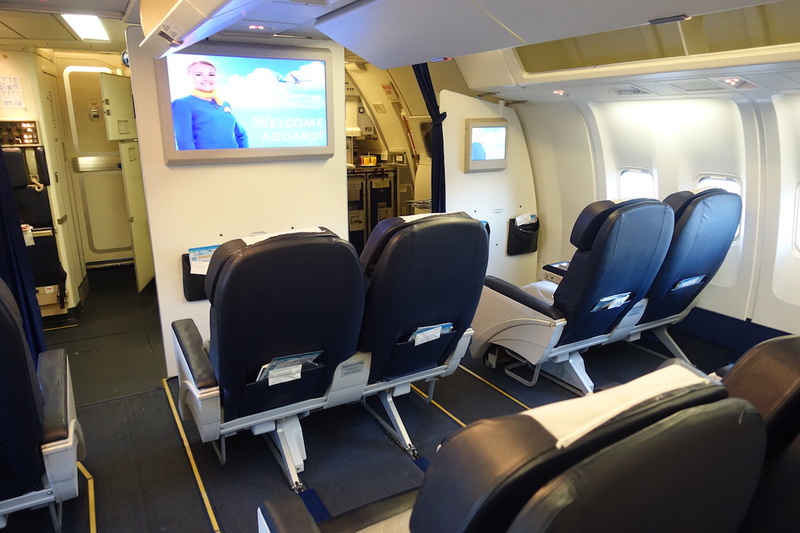 Sidenote: Did you know Azur Air’s new 777s still have the Emirates Business Class? 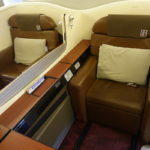 i found this old review of Royal Brunei B767 business class. 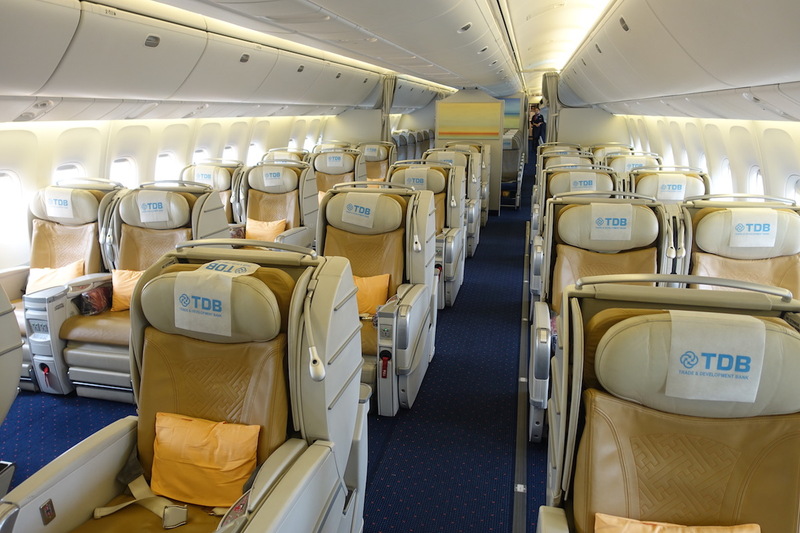 Thet Bolivian airplane was originally bought by Royal Brunei so i think the cabin would be like the one in these photos . Bolivia is one of the most beautiful countries I’ve ever been to! As a nature lover, Ben it’s one not to miss! I’d def recommend a trip. Santa cruz is very different from the altiplano. The west is about the native culture, the obligatory excursion to machu picchu, and difficulty breathing. Santa cruz is about the colonial culture and a rapidly growing city. They don’t get nearly as many tourists as the west, but in my mind this is a good thing. When you get tired of the city, go see the dunes (lomas de arena). Everyone is sending you to the salar, but I absolutely think that Santa Cruz is worth a weekend trip. Its incredibly lively and fun, with a well-developed colonial center and plenty of side-trips to do. Best of all, friendly folks and zero tourists around. Lucky, my wife visits Bolivia annually. Typically she flies AA into Santa Cruz and then BoA into Cochabamba. Last year, we both visited and flew BoA the whole way to save a little money. As people have said, the hard product is very dated and you will less than impressed. Second, on our return flight, they swapped in a 737 which doesn’t have the range to fly VVI-MIA non-stop. We made a surprise landing in Jamaica to refuel at around 3am and spent 2 hours on the ground with no A/C. Even at 3am, Jamaica is hot and the plane quickly became unbearably hot. Not even a bottle of water was offered. No where at any point does BoA publicize(at least that I found) that there’s a re-fueling stop. The 737 is a terrible option for this flight(ahem, thank goodness AA took the MAX off this route for now). Anyway, if you feel you must fly them, go ahead, but absolutely under no circumstance, and I cannot stress this enough, should you fly them back into MIA.